Nickel is very ductile and because it is often used to manufacture ultra-thin sheets. Tape marks 1.3981 manufactured length up to 100 m by cold rolling. The tapes of maximum length according to GOST acceptable welds. Medicine, energy, industrial chemistry, research laboratory of physics and chemistry. Aeronautics, automotive. As Kovar has a high level of resistance to electrical use a very thin tape with a thickness of maximum 20 microns. All offered products are certified. In the technical documentation included data on chemical composition and set the percentage limits of the additives. Supplier «Electrocentury-steel» supplies sheet, tape marks Kovar, 1.3981 standard and custom sizes at an affordable price in a optimally short period of time from warehouses in Russia and Ukraine. Price sheet, ribbon from stamps Kovar, 1.3981 corresponds to the high quality products. 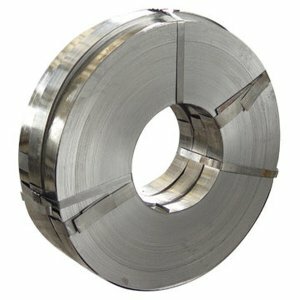 Buy a sheet, a tape provider Electrocentury-steel possible at an affordable price. Price sheet, strip alloy is formed on the basis of European standards of production. Buy a sheet, a tape mark Kovar, 1.3981 can wholesale or retail. Price optimal. Regular customers can take advantage of the discount system of discounts from the company Electrocentury-steel.